The coolest set of kicks we own. 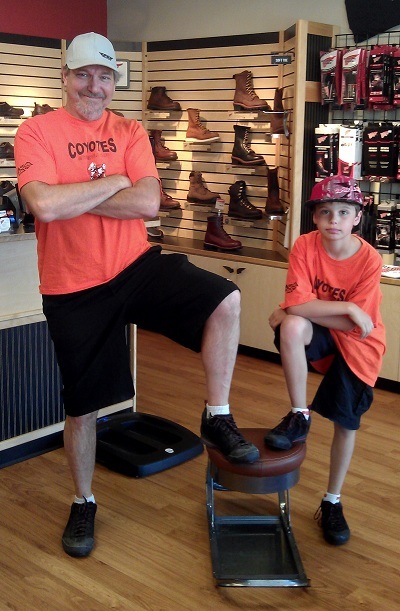 Me and Vasque go waaaay back... Local desert racing legend and Coyotes MC club founder Jason Smoot and wife Starla recently purchased the local Red Wing Shoe store here in Pocatello, ID, home of MoJazz. I've long been a customer of the store that the Smoots bought because Vasque boots were also available there. I have a pair of Vasque Whitney II mountaineering boots that I bought all the way back in 1974 which are still serviceable. 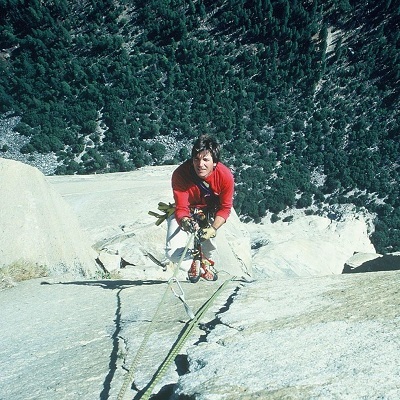 My first big wall climbs (several decades ago) were done in a set of Vasque Ascenders (Shoenards, to the truly ancient). 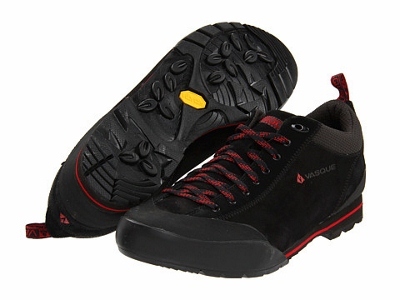 Vasque is to hiking and climbing what Alpinestars or SIDI are to motorcycles - which is to say, the stuff that you want. When Jason and Starla acquired the Red Wing Store a few weeks ago, the entire local desert racing crew beat a path to the "Smoot shoe" establishment to load up on quality footwear. My 10-year old son, JR, was quickly drawn to a pair of Vasque Rifts, and we had Jason and Starla order us up a pair each, in size 7 and 13, in Jet Black/Chili Pepper. I knew that the Rifts would be comfortable, well-built and work well as casual, apres ride kicks, but I was quite surprised at how well the Rifts function as a casual street bike riding shoe. They are my shoes of choice each day as I fire up the Ducati and head down to work at the University. Do Rifts provide the protection of specialized riding shoes or boots? They do not. But the rubber randed leather uppers and beefy, low-profile Vibram® soles provide much better protection than any sneaker and even a good number of spendy low-cut riding shoes. The grip on the Duc's pegs is amazing. I ride in roadracing boots for anything besides my daily work commute, but the Rifts are plenty adequate for my 15 minute trip down the hill to the U. Besides, how many of us over 18 actually want to wander around in a set of Lorica hewn, slider-festooned clown shoes at work, Not me, Gumby. Vasque Rifts are stylish, exceptionally well built, comfortable and a great value when you take into account that they'll last forever. Go get yourself a pair. The Good: Great style to mile ratio for a casual shoe. The Rad: Works amazingly well as a casual street riding shoe. The Gnarly: Sticky sole makes the moonwalk more difficult. $120.00 at any Vasque dealer. Our favorite is our local Red Wing Shoe store owned by Jason and Starla. Do yourself a solid and get your Vasque/Red Wing shoes from them. Go there in person if you can. Jason has a machine that scans your feet and produces an image of them that looks to me just like what the Predators saw from the jungle canopy as they scoped out Arnold and his band of mercenaries. Trippy!